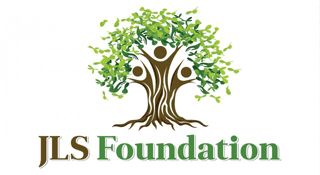 The JLS Foundation was launched in 2005 to honor the memory of our dad, John Liporace Sr. (JLS). His passion for education and community service in his hometown of Hoosick Falls, NY inspired us. The JLS Foundation partners with graduating seniors from Hoosick Falls Central School in Hoosick Falls, NY. Since the foundation’s beginning in 2005 and continuing through today, five seniors from each graduating class are selected as finalists to participate in the opportunity to earn a partial college scholarship ranging from $4,000 – $8,000. However, the real benefit is the relationships these students develop with professionals who will mentor them along their journey. Finalists participate in a two-day trip to New York City where they meet professionals from various walks of life who inspire them with stories about the challenges they faced on their road to success. This provides an opportunity for the students to begin developing professional relationships that can benefit the students throughout their college and post-college careers. Over the years these professionals have helped HFCS students into the college of their choice, helped students and parents maximize financial aid, and secured internships and full-time jobs for the students.